One of the final projects in my last year of design school was to define a social or environmental issue and conceptualize a disruptive business idea that would help to combat the problem at hand and improve customers’ quality of life. I chose to focus on how climate change is impacting Germany, specifically through weather-induced flooding and droughts. My project took the form of a German brewery which I called Wertheimer Hofbräu (named after my mother’s hometown), which would use purified rainwater to brew its signature Pilsner. The resulting brand identity and packaging designs are a marriage of old and new, fusing a time-honoured Bavarian aesthetic with a contemporary air of pragmatic innovation. Drawing inspiration from historic German type treatments and heraldry crests, Wertheimer Hofbräu's branding communicates an air of time-honoured tradition and deep local roots. The brand's central crest combines graphic elements of German nature and customary brewing techniques with the city crest of the small Bavarian township of Kreutzwertheim. 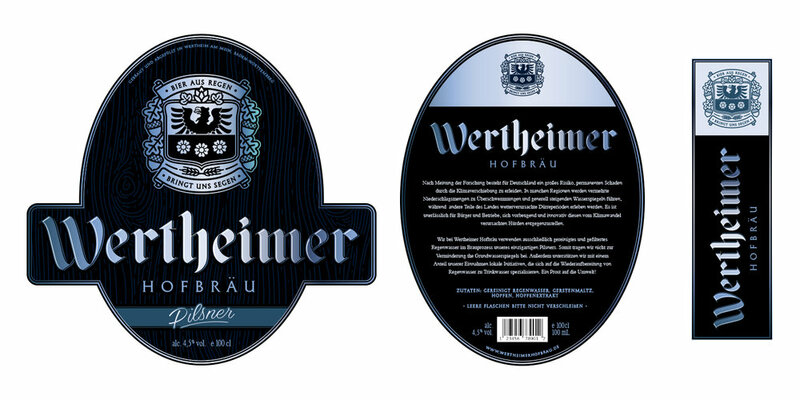 The bottle labels for Wertheimer Hofbräu's signature Pilsner incorporate all of the visual identifiers of the brand: word mark, crest, colour and texture. 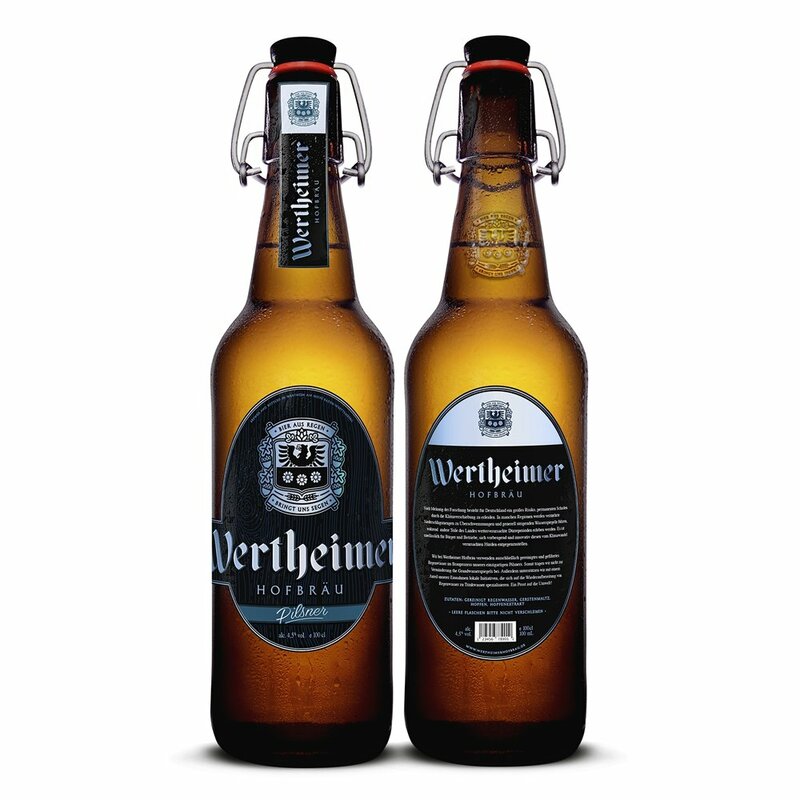 Where most typical German brewers favour a gold colour palette, Wertheimer employs gradients of light to dark blue to communicate the company's commitment to working towards rainwater repurposing. All works copyright ©2011–2018 Joschka Sawatzky Studio. Please do not reproduce without the expressed written consent of Joschka Sawatzky. Copying is for jerks.